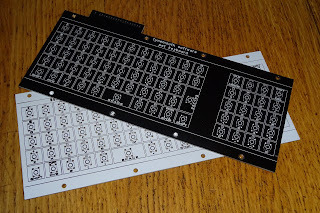 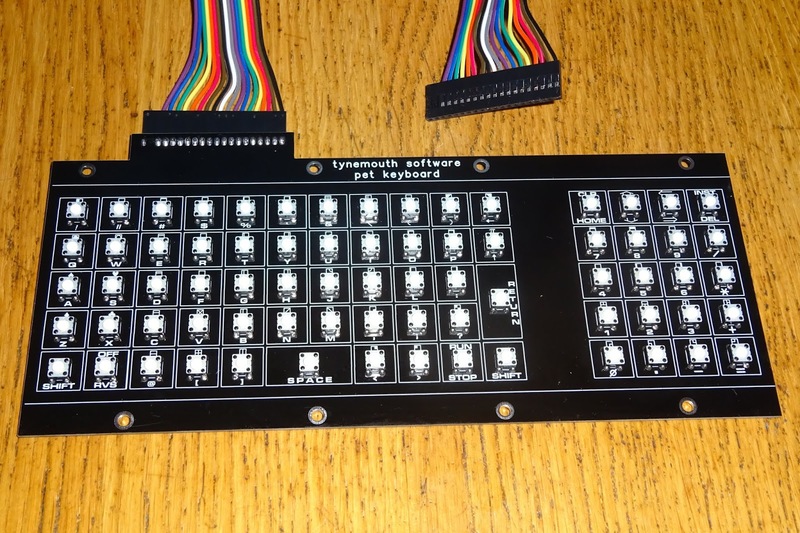 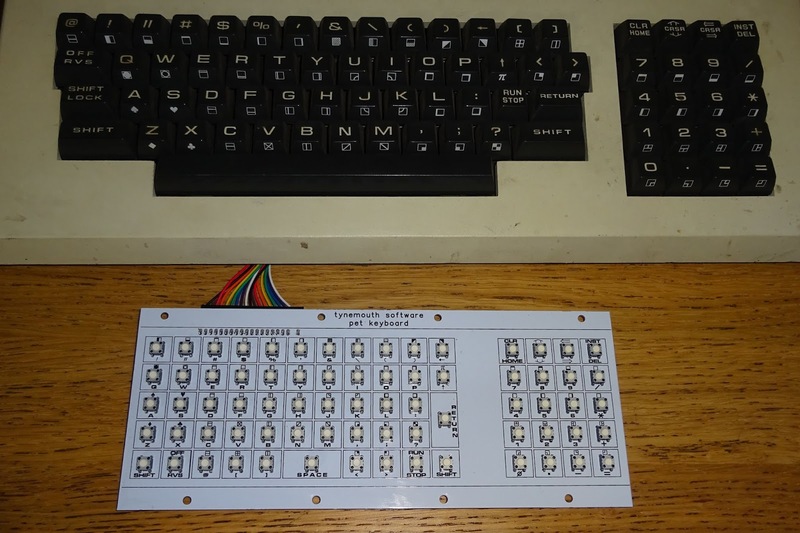 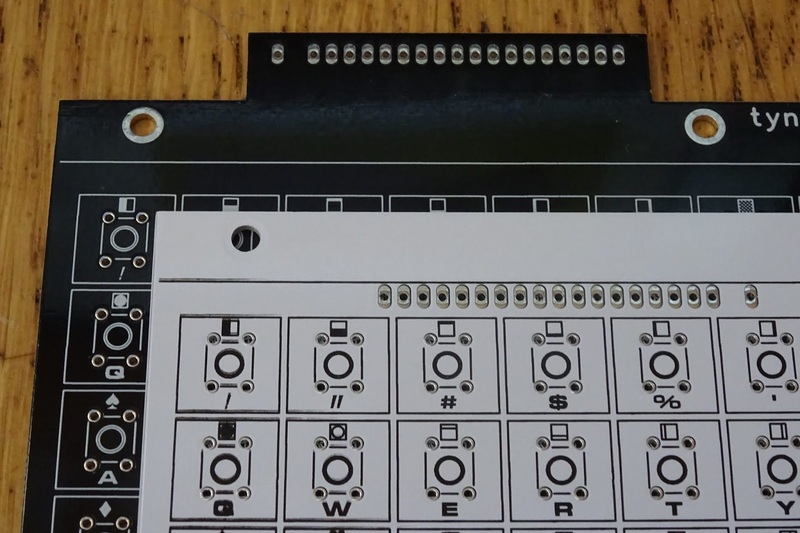 I have updated my Commodore 2001 PET replacement keyboards, they are now available with black PCB soldermask. 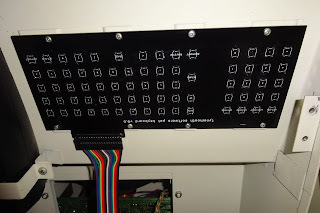 The original version was white, which seemed like a good idea, but when fitted, it highlighted how white my 2001 case wasn't. 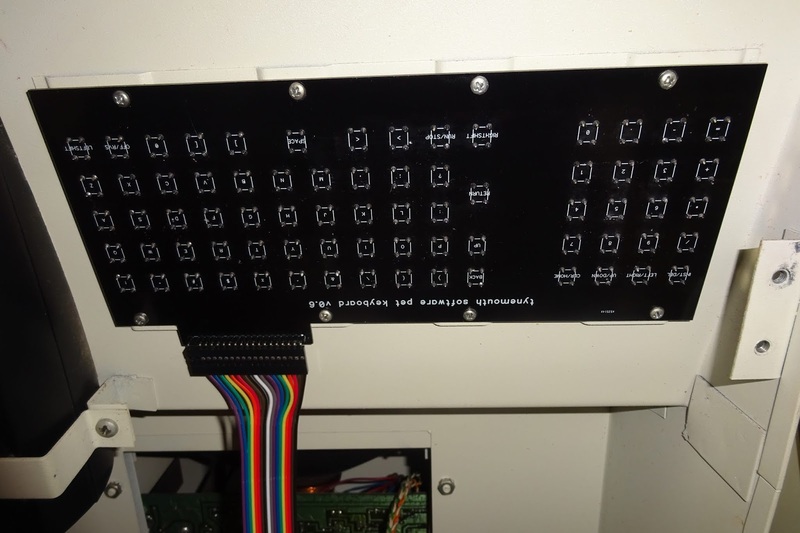 The black fits in well with the system label and the datasette drive. 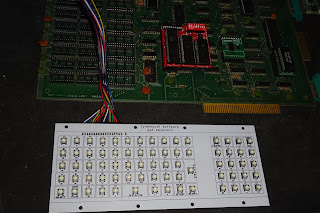 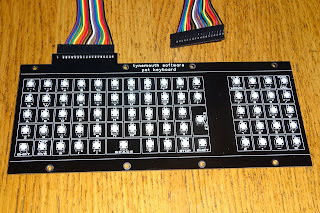 Other than the colour, I have moved the connector out of the keyboard area, more like the original, and plated the mounting holes. 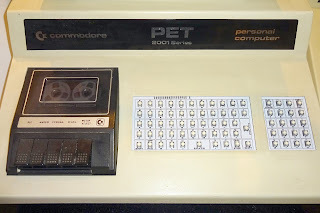 This can be seen when the keyboard is mounted in the PET 2001. 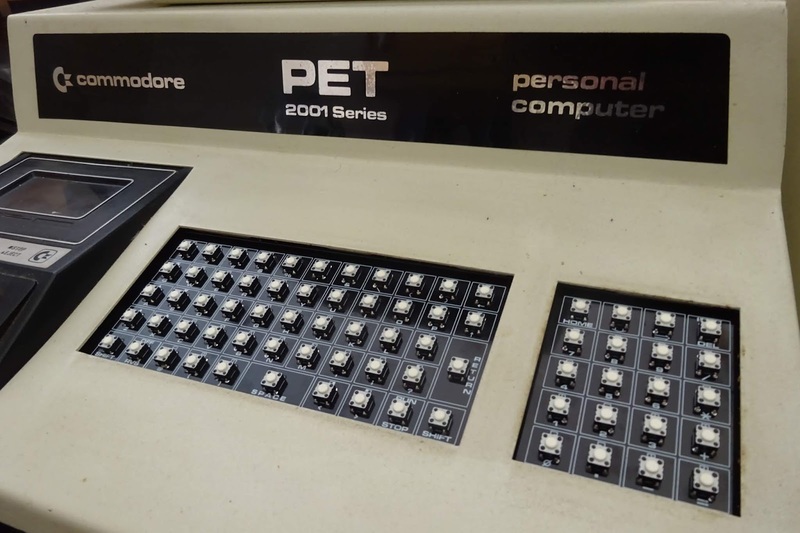 Although it will only fit the case of the 2001 PET with integrated datasette. 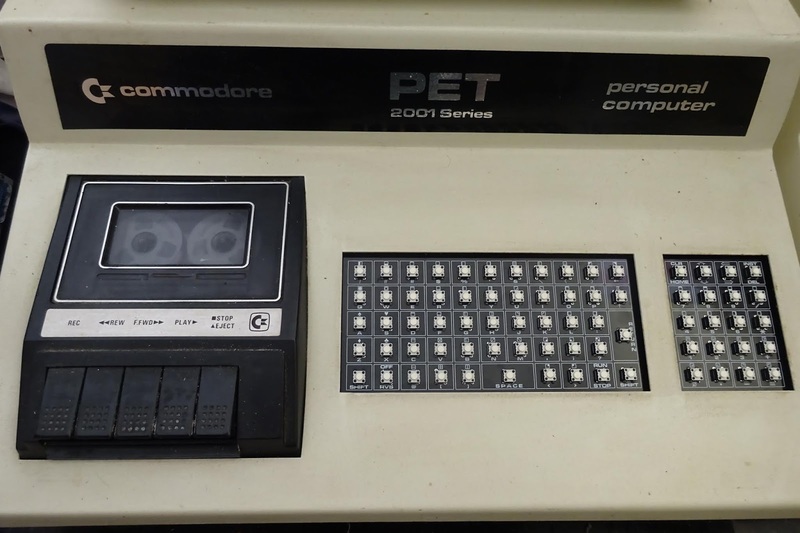 These can be connected to any PET that has a normal / graphics keyboard, one with 20 keys on the keypad on the right. 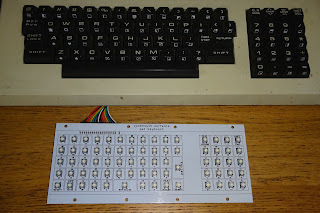 Useful to test if your keyboard just need cleaning, or if there is a fault with the PET. 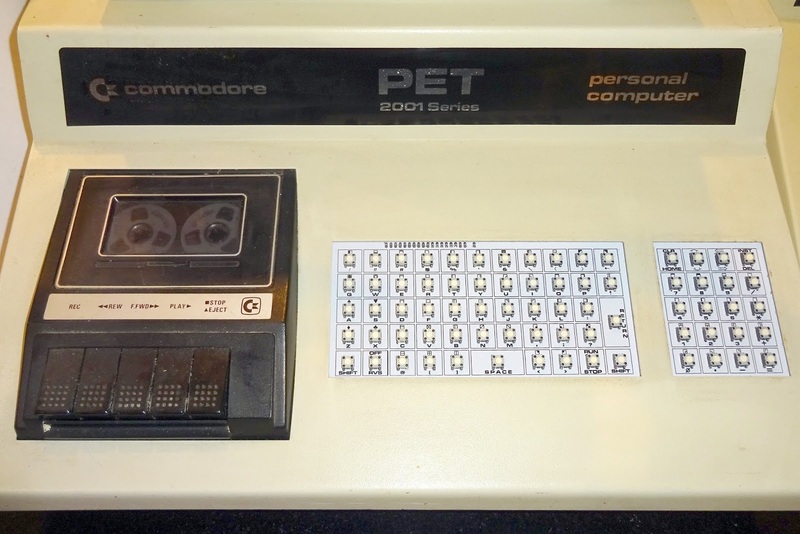 It is not suitable for PETs (or rather CBMs) with the business keyboard with 11 keys on the keypad (which is usually the 80 column machines). For PETs with full size keyboards, you can run the cable out of the front. 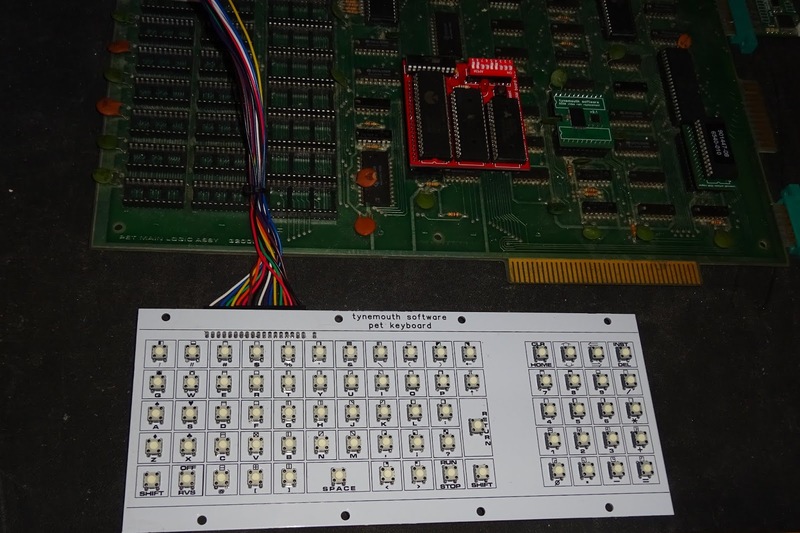 Or use it on the test bench. 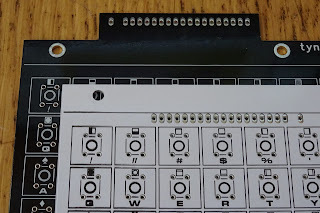 These are available from my Tindie store, as PCBs, kits or assembled and tested units, optionally with a pre-wired ribbon cable.